(Austin, TX) – Austin Police Chief Brian Manley, Federal Bureau of Investigation (FBI) Special Agent in Charge Christopher Combs, Bureau of Alcohol, Tobacco, Firearms and Explosives (ATF) Special Agent in Charge Fred J. Milanowski, Travis County District Attorney Margaret Moore and United States Attorney for the Western District of Texas John F. Bash announced that a federal criminal complaint and an arrest warrant were filed last night against 23–year-old Mark Conditt (seen in the above photo) of Pflugerville, TX, in connection with the recent series of bombings in Austin. 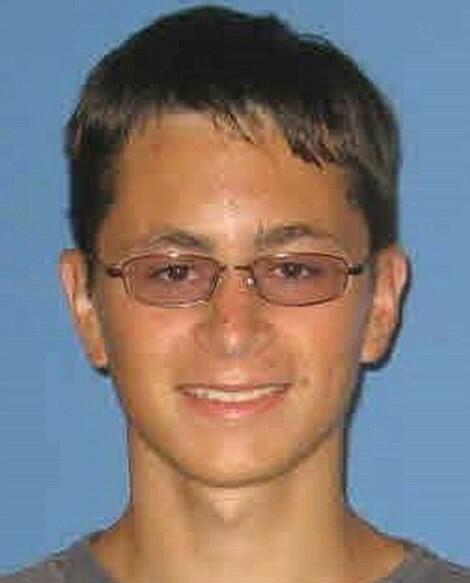 Those filings occurred before Conditt detonated a destructive device early this morning as authorities were attempting to apprehend him in Round Rock, TX. Conditt died during the incident. The federal criminal complaint charged Conditt with one count of Unlawful Possession and Transfer of a Destructive Device. The complaint affidavit remains under seal at this time. The investigation continues at this time. Because it is possible that further destructive devices were planted or mailed, residents of Austin and surrounding areas should call 911 if they see any suspicious package, bag, or backpack, or any other item that looks out of place. “I am grateful for the extraordinary leadership demonstrated by Chief Manley during this complex and challenging investigation. He inspired an amazing team of law enforcement professionals and prosecutors who worked together and with members of the public to restore peace in our community,” stated FBI Special Agent in Charge Christopher Combs, San Antonio Division. “Thank you to the City of Austin and the surrounding communities for coming together and remaining vigilant over the past three weeks. By doing so, we were able to restore a sense of calm to the community,” stated ATF Special Agent in Charge Fred J. Milanowski, Houston Field Division. The Austin Police Department, the Federal Bureau of Investigation, and the Bureau of Alcohol, Tobacco Firearms and Explosives are investigating this case. The Texas Department of Public Safety, the Texas Rangers, the U.S. Postal Inspection Service, the United States Marshals Service, the Round Rock Police Department, the Schertz Police Department, the Pflugerville Police Department, and the Cedar Park Police Department are providing valuable assistance in this investigation. The Travis County District Attorney’s Office and the Austin Division of the U.S. Attorney’s Office for the Western District of Texas have collaboratively provided legal support during the investigation of these incidents.